Managing your finances is a crucial part of running any business, but unless you have the budget for a full time accountant, it is one that you will have to do yourself. Great bookkeeping is crucial to maintaining your records, tax compliance, and understanding your profits and losses, and it should remain an integral part of your business. Unfortunately, accountancy is something that requires a great deal of financial knowledge, and most business owners don't have the time or the resources to master it and run their business at the same time. While maintaining a full time accountant is a better way to guarantee the quality of your books, QuickBooks is a cost effective option to handle most of the details yourself. Demian & Company is happy to endorse QuickBooks for our small business clients, and we offer assistance with daily, weekly, monthly, or quarterly reviews and updates to your software as well as help with the initial setup and installation. QuickBooks is an accounting software program that combines bookkeeping, accounting, and other accountancy services into one program. Businesses can use QuickBooks by paying a low monthly rate to access the application in the cloud from any device. The primary benefit for small business is that it allows you to keep up with all of your books in one easy to use program without using multiple spreadsheets so that you can document and maintain your accounting tasks. QuickBooks swaps complicated spreadsheets out for simple forms that make it easy to update your records without knowing the details behind the updates. This allows you to maintain your records by simply updating it with new information on a daily basis. QuickBooks also offers other business services including invoicing, reporting, customer and client management, tax form preparation, and can even be used to accept credit card payments. QuickBooks is available in multiple subscription options, with rates ranging from $10 to $40 per month. Custom payroll solutions are also available, although rates depend on the size of your business and how many employees you keep on payroll. Self Employed – With rates starting from $10 per month, the Self Employed option is the most cost effective, but also has the least to offer. Here, QuickBooks focuses on creating invoices, separating business and personal expenses, handling deductions such as gas mileage and business purchases, and handling contractor related taxes. Simple Start – Simple Start makes it easy to import your data from existing Excel spreadsheets and then get started using it for accountancy. Features include invoicing and estimates, downloading bank and credit card transfers, transaction tracking and printing, application integration, and up to two users including you and your CPA. Simple Start costs $15 per month. Essentials – Essentials starts from $30 per month and includes everything from Simple Start as well as additional reports, industry trends, bill management, recurring and scheduled invoices, and custom users with controlled access. Plus – At $40 per month, QuickBooks Plus is not for everyone but it does have a lot to offer. Features including inventory tracking, 1099 preparation, tracking billable hours, budgeting, income categorization, and location tracking make it ideal for larger small businesses with more details to handle or more complex business practices. QuickBooks Plus allows up to 5 people to access the application online. Most business owners quite simply don't have the financial experience to keep up with and accurately manage spreadsheets and tables. QuickBooks gives you an easier way to manage your books and accounting in between visits with your CPA. QuickBooks also helps to ensure that you already have all of your information put together for tax time, which can save you a great deal of hassle. Do You Still Need a CPA? While QuickBooks does make it easier to manage your own books, it is still recommended to have periodic reviews with your CPA, so that you can ensure the accuracy of your numbers, keep your program up to date and ensure that everything is in good order. 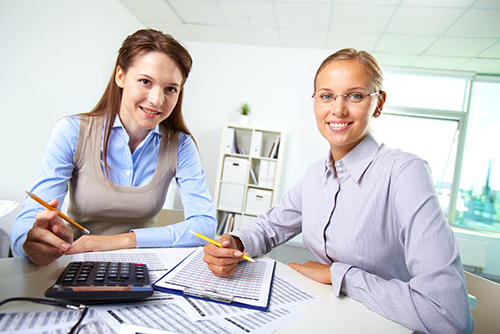 While accounting software like QuickBooks can help you with day to day details, there is no replacement for having a trained professional review your tax forms to help you get the most out of your deductions and ensure accuracy. Demian & Company LLC, is a QuickBooks ProAdvisor company and we can help you to set up, maintain, and audit your QuickBooks to ensure that your records are in order and ready for tax time. Contact us for an appointment or to discuss your needs.